I work with & train people world wide, due to request, I have available World Wide Online Personal Training & Nutrition with Me One on One! I really love to help others & love to see the whole life positive transformation. You can have me as Your Celebrity Personal Trainer, Exercise Scientist, Exercise Science Specialist, Sports Medicine Specialist, Nutrition Specialist. Take a look at my online Store & I have several Health, Fitness, Personal Training & Nutrition Programs available, where you work directly one on one with me! My Passion, Educating, Motivating, Igniting & Bringing Out The Best In You Inside Out! Dream it, Believe it, See it, Do it & Love it! 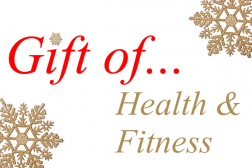 Cheers to Health & Fitness Inside Out!